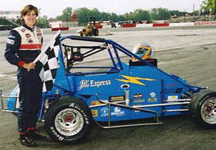 "2006 Points Standings & Race Winners for FinishLine Racing School Students"
Tyler Brown 1st Delaware Speedway "Rookie of the Year"
Ross Zumbach 1st Hawkey Downs Speedway "Rookie of the Year"
Sep 28th - Sunoco Modified #2 - Thompson Intl. 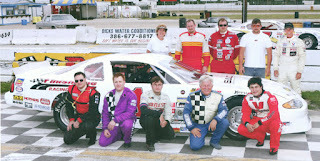 Speedway - Thomas Cravenho Jr.
Jul 3rd - ACT Late Model - Thunder Road Intl. 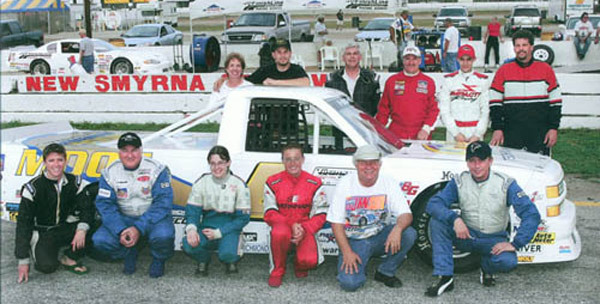 Speedbowl - Marc Curtis Jr.
May 21, 2005 - Delaware Speedway - Ron Beauchamp Jr.
Aug 18, 2005 - Thompson Intl Speedway - Tommy Cravenho Jr.
"FinishLine Graduates Becoming True Champions"
Michelle Theriault 2002 Lanier ProLegends Champion "5 Wins"
WON the Sunoco Super Series Championship at Indianapolis Raceway. He had 2 wins and 5 poles "not bad for a 16 year old". 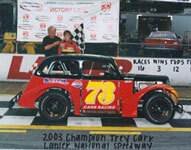 ASA " Youngest Competitor Reed Sorenson Started his Inaugural race in the 28th position and finished in 10th place. He also won the" Hard Charger of the Race Award". In his 4th Race of the Season he became the youngest competitor in ASA history to lead a lap and win the "Halfway Leader" award. FinishLine Racing School was very unique in the Racing School industry as it covers BOTH aspects of race car involvement. The First, and FinishLine Racing School's Specialty is the Serious 3 Day Program designed for the "soon" to be race car driver or even the experienced driver that's having difficulty getting to the checkered flag. THIS WAS NOT A FUZZY DICE RACING SCHOOL. It is with much sadness that after almost 30 years in the race school business it is time to hang up my helmet. I am fast approaching 70 and it is time to sell the school cars. We will still be here but instead of 200 mph it will be 100 mph!! I will continue to do private lessons but the economy has halted the race school business to a screech as they say when one door closes.. one opens. We are still in the laser alignment business, now doing CanAm Spyders, and Polaris Slingshots and BRAND NEW laser aligns on all brands and all makes of Side by Sides and 4 X 4's. We Produce WINNERS, Check out our STUDENTS PAGE and see for yourself !! !